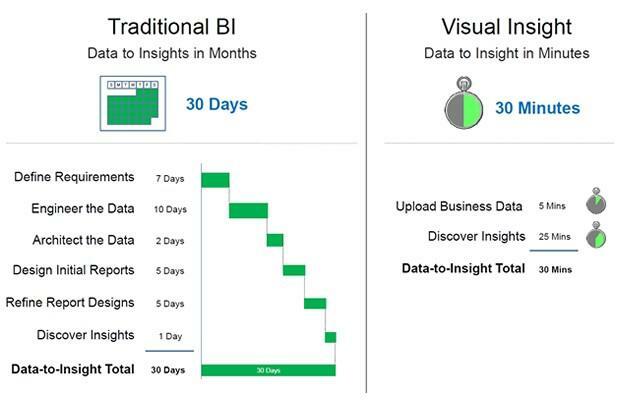 Business Intelligence (BI) software needs to adapt to the intuitive, fast-paced and flexible demands of consumerized BI audiences and rapidly expanding data types, sources and volumes, according to new research. A recent global study released by independent research agency, BizTechReports, surveyed 120 IT and business executives from companies throughout Europe the USA and Canada, and was designed to assess the rapidly changing requirements for business analytics software. 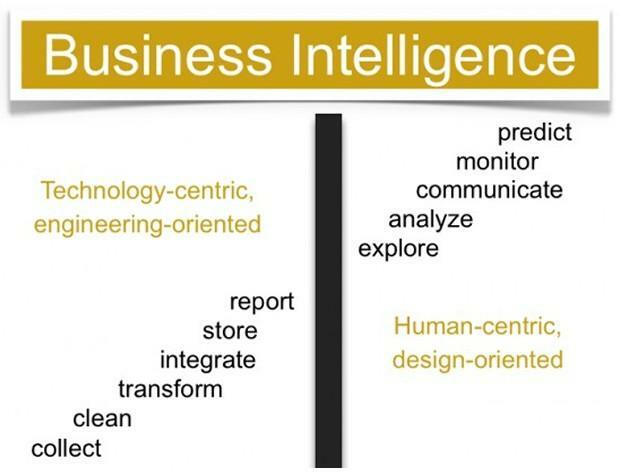 The report found that many of the current BI software solutions fail to meet the modern demands of the reporting and analytics marketplace, and that most traditional BI products and associated implementation and services models are too large, costly and cumbersome to meet current needs. 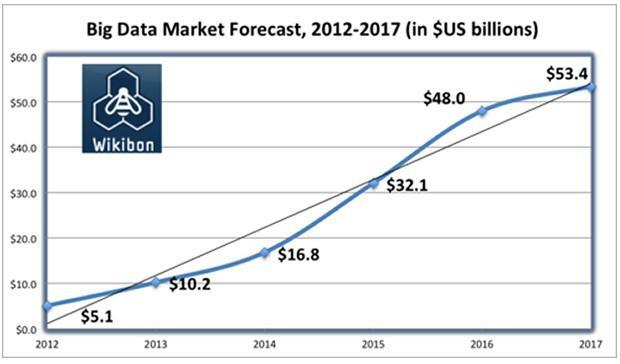 “The emergence and convergence of the ’Big Data’ phenomenon has led to enormous data aggregation requirements for multiple business purposes,” said President of market research firm Apps Run the World, Albert Pang. “The issue is that the past generation of analytic solutions, like Hyperion, Cognos and others, are very good at addressing the Big Data needs, particularly for complex financial consolidation and reporting needs. But today business is operating at a faster pace than ever before, and analysis and decision-making requirements have been pushed into every department at every level of user – managerial or not. The large footprints and complexities of these unwieldy analytics software solutions aren’t well suited for these types of smaller, faster needs." Eighty percent of respondents said that improving the accessibility of BI to business users would improve their organization’s competitiveness. However, in a somewhat counterintuitive finding, 72 percent of survey participants said that their current BI solution, and its associated resources, is highly centralized within the finance organization. Sixty-three percent also agreed that their current solutions were unable to meet the immediacy requirements necessary to support day-to-day operational decision-making, and were instead geared towards assisting long-term planning initiatives. In addition, a vast majority (78%) believed that new solutions were required to match tight operating margins, reduce business costs and increase revenue. Further, 60 percent of respondents definitively agreed that current traditional, large analytic solutions are incapable – due cost as well as their cumbersome and time-consuming nature – of facilitating desired pervasive BI deployments. 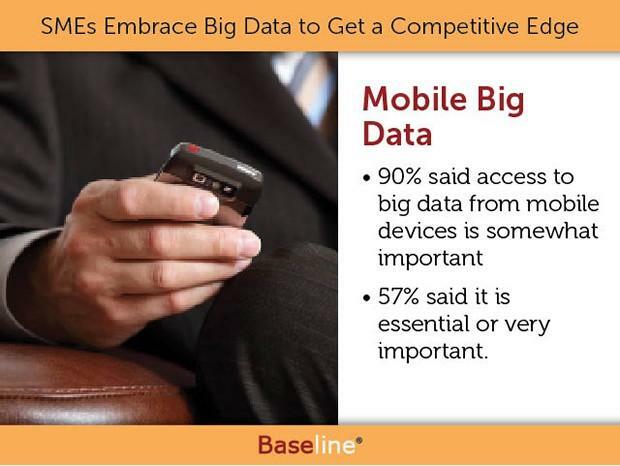 According to a recent report, based on a survey of 154 senior US executives from international companies across a range of industries, the ability for reporting and analytics products to deliver the results of Big Data analytics to mobile devices, to boost timely decision-making, is imperative. The survey, conducted by Harris Interactive from April 10 – 23, asked participants to describe the importance of instant access to Big Data from their mobile devices. Ninety percent of respondents said it was “somewhat important”, with 57 percent stating that it was “absolutely essential” or “very important”. According to IT industry analyst and principal research contributor at Wikibon.org, Jeff Kelly, organizations need to embrace and leverage Big Data or potentially face extinction at the hands of Big Data enabled competitors. “We have been doing research around Big Data for a couple of years [and] have come to the conclusion that Big Data is now the definitive source of competitive advantage across all industries,” said Kelly in a report by SearchBusinessIntelligence.in. “While I realize that is a pretty sweeping statement, there really aren’t any industries that we can think of that aren’t going to be impacted by Big Data. “To take advantage of Big Data requires a shift, a very basic shift in some organizations, to actually trusting data and actually going where the data leads you. 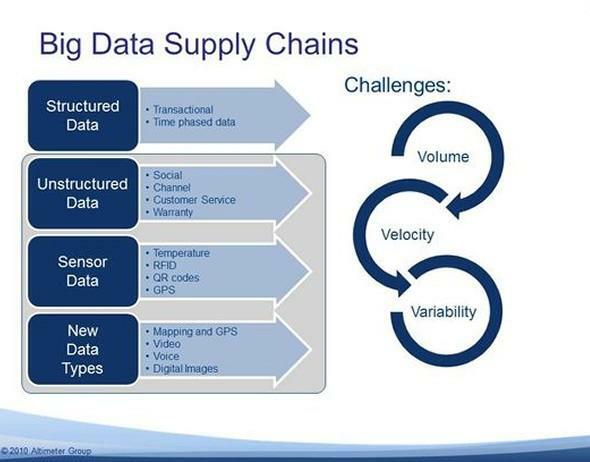 Big data is about looking forward, making predictions and taking action. “We need tools that can abstract away some of that expertise so that you don’t need to have a PhD to really explore Big Data. Stayed tuned for part two of this two-part series to discover how to effectively extract value from your Big Data implementation and achieve swift and impressive ROI.